What Type of Spider are You? What is your ideal night out of the web? Have you donated to a charity in the last year? If your sink stops working, what do you do? Would you try bungee jumping? Do you have kids or want kids? You're smart, quick, and agile. You're quiet, but that doesn't mean you're not watching and always thinking. You're fierce and protective, but you're rarely the one that starts the fight. You're hard on the exterior and soft on the interior. People misunderstand you at first. But once they get to know you, people are drawn to your quiet, yet fierce energy. You have a close knit group of family and friends, and you would do anything for them. You're tough, strong, and a natural leader. You're not afraid to stand up for what you believe in, even if it's not the popular choice. You're confident and comfortable with who you are. You're passionate and dedicated. You never take "no" for an answer. Sometimes people are intimidated by your passionate energy, but that just means you care. You're independent and fierce. You never let anything stand in the way of your dreams. You're creative, unique, and one of a kind. You're filled with positive energy and creativity nearly pours out of you every day. Some people think you're weird, but you're totally find with that. Because weird is just a byproduct of awesome. You don't belong to any group or stereotype. You march to the beat of your own drum and you're constantly trying to figure out how to reinvent the drum itself. You're smart, innovative, and inspiring to others. You're funny and quick on your feet. You're smart, witty, and a crowd pleaser. You're a natural entertainer and you love to make people laugh. You're intelligent and enjoy random conversations with stranger. You're a great story teller and people are drawn to your charasmatic energy. You're kind-hearted and mostly harmless, but sometimes your town is mistaken for sarcasm. You're dedicated and It doesn't take long to bounce back from disappointment. You're a caring and gentle soul. People are drawn to your kind and soothing energy. You're a natural caregiver and always put the needs of others in front of your own. You're a good listener and you can't turn away a hug. You're friendly and easy to talk to. People find your positive attitude infectious and inviting. You have a lot of friends, but you know which ones will be around forever. You where your heart on your sleeve. 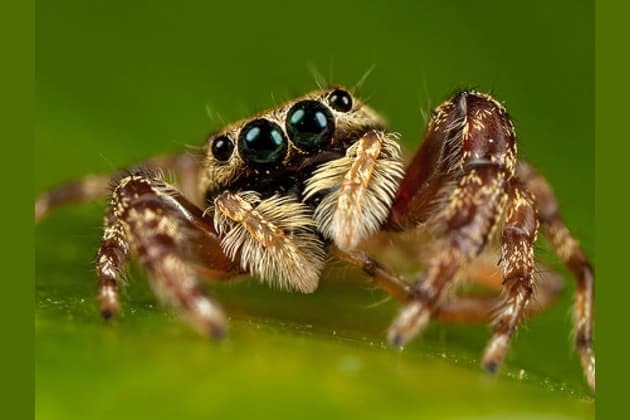 With about 40,000 types in the world, spiders are living on every continent except Antarctica. And they're evolving. Fossils have been found dating back 318 million years. What type of spider is calling to you?